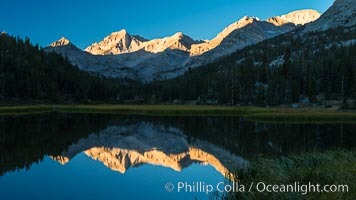 Bear Creek Spire over Marsh Lake at Sunrise, Little Lakes Valley, John Muir Wilderness, Inyo National Forest Marsh Lake Photo. 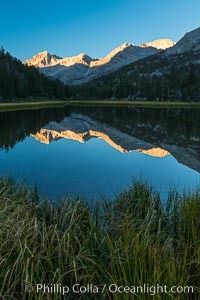 Bear Creek Spire over Marsh Lake at Sunrise, Little Lakes Valley, John Muir Wilderness, Inyo National Forest Marsh Lake Picture. 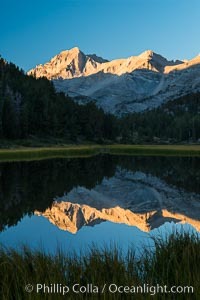 Bear Creek Spire over Marsh Lake at Sunrise, Little Lakes Valley, John Muir Wilderness, Inyo National Forest Stock Photography of Marsh Lake.